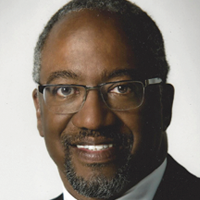 Michael Lyles, M.D., is a graduate of the University of Michigan Six Year Premedical Medical Program. He completed his psychiatric residency and APA/NIMH Minority Fellowship at Duke University Medical Center where he was the recipient of the North Carolina Neuropsychiatric Association Resident of the Year Award. He was an Assistant Professor of Psychiatry and Associate Director of Outpatient Services at The University of Kentucky College of Medicine. He is a consultant to a variety of community organizations ranging from religious organizations to internet sites to professional athletics such as The Atlanta Hawks. He is board certified in Adult Psychiatry by The American Board of Psychiatry and Neurology. His major areas of clinical activity are mood disorders, anxiety disorders and ADHD. Michael has published over 60 publications and videos and serves on the speaking and advisory boards for several pharmaceutical companies.